Join the SNF Parkway Theatre for a special Kubrick Halloween with THE SHINING on 35mm! Part of the Kubrick 90 series at the SNF Parkway. Master filmmaker Stanley Kubrick’s visually haunting chiller, based on the bestseller by master-of-suspense Stephen King, is an undeniable contemporary classic. 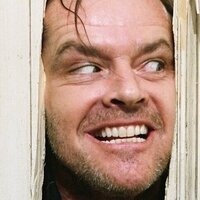 Newsweek called THE SHINING“the first epic horror film,” full of indelible images, and a signature role for Nicholson whose character was recently selected by AFI as one of their 50 Greatest Villains. Learn more and see other upcoming films in the Kubrick 90 series at https://bit.ly/kubrick90.